I love to work in the kitchen with my children! I try to invite them into the kitchen to help me do something at least daily. Often, especially with my older children they are at the point where they can take some initiative and say "I would like to make..." and do a lot of that process on their own. Gus is definitely not there yet, but everyday he is becoming more and more interested in the process of working in the kitchen. Generally, we aren't doing anything special in the kitchen. We're making breakfast and dinner. We're preparing lunch. Maybe a special snack. But, there are a few recipes that my kids love to help make and lend themselves to child's work, and I thought I would share those! So, here are 5 recipes that my kids love to make! When in doubt, I have been adding chia seeds to all the things at my house! My kids love them. So, chia seed pudding has been a natural addition to our rotation of recipes. We have been using this chia seed recipe since we are dairy free. It's easy, but a lesson in patience since it must chill over night. We serve with crushed nuts, fresh fruit (usually berries or banana), and a little dairy free whip cream. These simple additions give just a little bit of extra work for the kids in the presenting and serving of the pudding. We have eaten for snack, for breakfast or dessert! This recipe works on the skills of measuring, stirring, scooping, and pouring. This is another recipe where I'm sure there are 10,000 ways to make kale chips! My kids love kale so this is something we could actually make a lot! It was the best this summer using fresh kale from our garden that we had grown from seeds together. Here is what we do. To make kale chips, we wash the kale really well then towel dry. Then, we hand shred the kale into small pieces (they can be slightly bigger than bite size, they shrink in the oven) and place in a big bowl. Then pour over a bit of olive oil (not too much just a lite coating), then sprinkle with garlic salt and fresh pepper. Toss it all together until everything is coated. Spread on a cookie sheet and place in the oven under the broiler until dry and crispy (usually a few minutes). This recipe works on the skills of tearing, tossing, working with heat, and sprinkling. This is just something I created one morning for a new kind of breakfast and my kids love it so much that we ended up making it all the time. Basically, you'll need a couple of apples, some honey, 1/4 cup of peanut butter (depending on the number of apples you use), chia seeds, and some nuts. The idea is that you cut apples into slices and place into a microwave/oven safe dish. Then in a few lumps place the peanut butter around the apples. Pop into the oven/microwave (we have done both depending on the amount of time we have) until the peanut butter melts. Once its warm, mix peanut butter around, drizzle honey, chia seeds and nuts on top. If we're feeling really special, we skip the honey and use mini chocolate chips. This recipe works on the skills of cutting, mixing, working with heat, and drizzling. I say caprese salad and take that lightly! We are dairy free so no fresh mozzarella for us. But, otherwise we make this version of caprese salad (or something similar) often. It's quick, it's delicious, and really pretty easy for the kids. We obviously leave out the cheese so it's more of a tomato and basil salad, but the cheese could easily be incorporated for families that aren't dairy free. Sometimes we will also switch it up and make this with a balsamic glaze (the premade kind) instead of the vinegar and oil, it just depends what we have on hand. We also often add some chicken breasts, pour the salad over them and bake at 350 for 30 minutes. It's an easy one pan meal that my kids cannot get enough of. This recipe works on the skills of fine cutting (sharper knife), tossing, measuring, and scooping. These cinnamon rolls have been a favorite in our house for so long! I've talked extensively about them here, but they remain a constant favorite. But, I also want to make clear that there are plenty of times when my kids make a boxed recipe for cake/cupcakes or brownies. Not everything we do is from scratch, but I find it more important to involve them than make super complicated recipes every time! This recipe works on the skills of measuring, rolling, mixing, sprinkling, and working with heat. These are just some of the things that we enjoy making together frequently, but is in no way a comprehensive list. 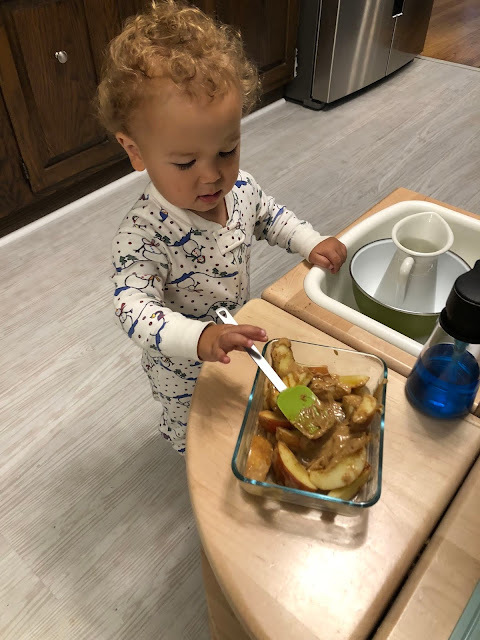 If you are looking to help your children get more skills in the kitchen, or even just looking to connect with your kids over kitchen work, my course Confidence in the Kitchen can help! Enrollment is coming up, so don't miss it. 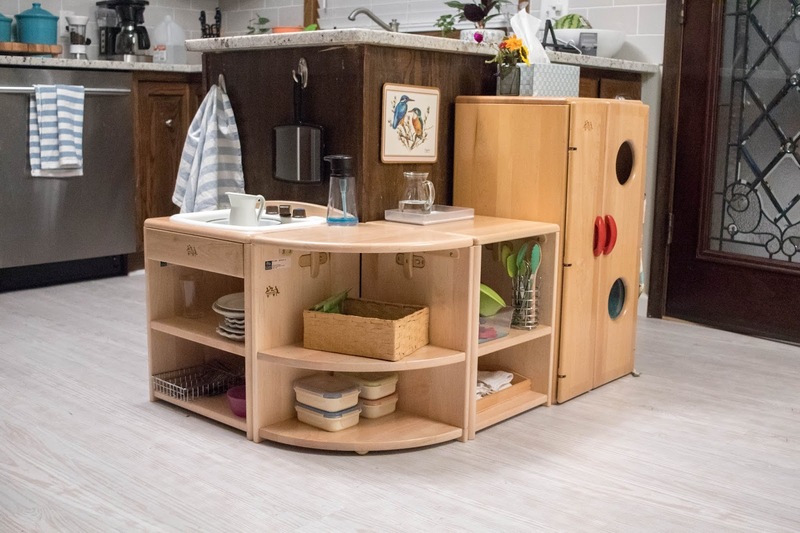 What are some of your favorite things to make with your kids?